Before a lender can initiate foreclosure proceedings in the State of New Jersey, it must notify a borrower of its intent and provide the borrower some very specific information. The New Jersey Fair Foreclosure Act requires lenders to strict comply with the disclosure provisions of the Act. Failure to comply will cause a filed complaint to be dismissed without prejudice: The lender will have to start the entire foreclosure process over again regardless of where it is in the present proceeding. One bit of information that needs to be conveyed is the identity of the lender. This seems simple enough but given the way mortgage loans are sold before they are even closed, and how servicing rights are transferred around from one servicer to another, this is more complicated that it would appear. It is not uncommon for a borrower to not know what entity holds their loan at any given time or where to make a payment. This is especially true for borrowers who are in default and may have received calls and notices from a variety of different servicers or outside collectors. The courts agree that the identity of the lender that actually holds the Note needs to be clear from the start. In a recent decision the Appellate Division ruled in Bank of New York v. Laks that that the Notice of Intent to Foreclose needs to identify the original lender, not just a loan servicer that may now be collecting payments. The Appellate Division held that failure to provide the name of the original lender cannot be cured simply by issuing a new Notice of Intent to Foreclose. It didn't matter that the borrower may not actually of been harmed by the omission; the case must be dismissed nonetheless and the process started over again. The New Jersey Supreme Court will be hearing the case of US Bank V. Guillaume, which concerns the same issue of the lender failing to abide by New Jersey's Fair Foreclsosure Act. 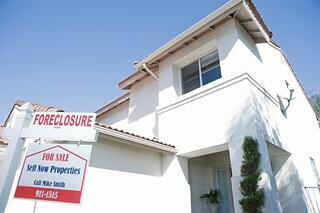 If you need help from New Jersey lawyers for foreclosure, contact us today for a free consultation.